Do you go weak in the knees when you spot someone snacking on a meal of ‘mashed avocados seasoned with bell peppers, tomatoes, and chopped onions’ better known as guacamole? If you do, then you’re in good luck as a fresh evaluation of scientific reports pinpoints that feasting on avocados may help in delaying and reducing the risks of ‘metabolic syndrome’. Metabolic syndrome is being touted as the ‘new silent killer’ and can be a major impediment to healthy living. You’re said to be suffering from ‘metabolic syndrome’ if you’re hypertensive, have a large girth, and your triglyceride level is abnormally high. The peer review which was issued in ‘Phytotherapy Research’-a leading medical journal was carried out by Iranian scientists. These researchers meticulously sifted through 129 studies published earlier that evaluated the impacts of consuming avocado on various aspects related to metabolic syndrome. A majority of the trials focused on the flesh of avocado the section of the fruit that we generally consume but quite a few were dedicated to its leaves, seeds, oil, and skin. The researchers came to a conclusion that eating avocados contributed hugely towards maintaining healthy cholesterol levels. Biting into avocados on a regular basis helps contain bad or ‘LDL cholesterol’, and raise ‘HDL cholesterol’ level as well as regulate the proportion of phospholipids and triglycerides in the bloodstream. The Iranian researchers also believed gorging on avocados led to numerous other health benefits. Avocados could go a long way in accelerating weight loss and help bring down high blood pressure as well as blood sugar levels. The antithrombotic, cardioprotective, and anti-atherosclerotic properties of the fruit were also observed in numerous trials. Simply put, the researchers overwhelmingly agreed avocados were incredibly effective in dealing with metabolic syndrome in a comprehensive manner. Cynthia Sass RD, MPH who regularly posts nutrition articles to ‘Health’ journal opined that ‘this is just yet another study to show that avocados truly deserve superfood status’. She went on to express avocados were extremely instrumental in touching belly fat considered as the most unhealthy and harmful kind of fat. Another important finding of the research hinted that individuals who included avocados in everyday diets were more prone to weight loss compared to those who didn’t. Avocados also abound in minerals, fibers, vitamins, and antioxidants besides being richly endowed with fats that were beneficial for the heart. Also, our bodies can assimilate nutrients from the fruit better than supplements and medications. Avocado is a super delicious and juicy fruit that is best consumed raw. However, there are plenty other ways in which you can eat the fruit. Avocados are used for rustling up mouthwatering guacamoles as well as go as an ingredient in salads and omelets. Whisk a glass of smoothie or concoct a glass of Indonesian-styled milkshake or spread a paste of the fruit in toasts or tortilla chips. The fruit also serves as an excellent substitute for butter when baking cakes and biscuits. 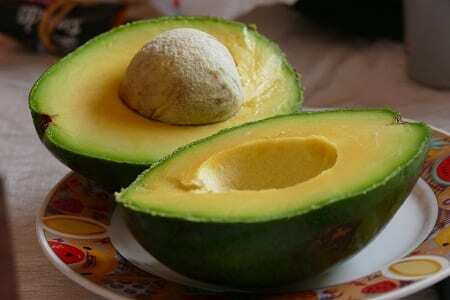 Eat an avocado a day for keeping ‘metabolic syndrome’ at bay.